The SEER rating of an unit is the cooling output during a typical air conditioning season divided by the total electric energy input during the same period. 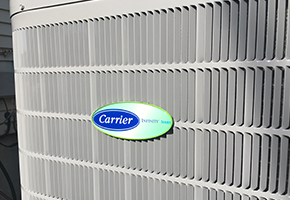 The higher the unit's SEER rating the more energy efficient it is. SEER is computed by measuring cooling in British thermal units (BTUs) and energy consumed in watt-hours. LeBlanc Heating sells various SEER rated appliances ranging from 13 all the way up to 27 SEER. 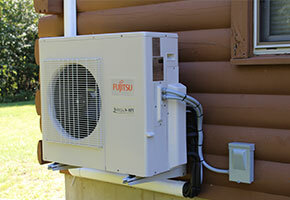 A heat pump is a device that moves heat from one place to another. An air source heat pump employs the same basic refrigeration cycle as an air conditioner or a refrigerator. A heat pump uses a reversing valve to control the transfer of heat which allows the homeowner to both heat and air condition their home with a single system. 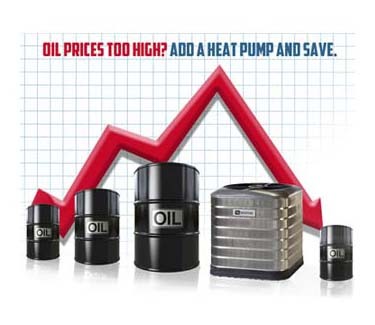 Heat pumps can be up to 300% efficient and can save up to 40% on annual heating costs. 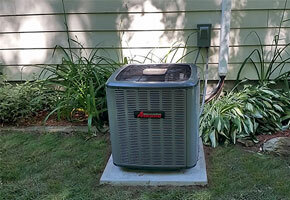 Many people buy an air conditioner that is too large, thinking it will provide better cooling. An over sized air conditioner is actually less effective — and wastes energy at the same time. Air conditioners remove both heat and humidity from the air. If the unit is too large, it will cool the room quickly, but only remove some of the humidity. This leaves the room with a damp, clammy feeling. A properly sized unit will remove humidity effectively as it cools. 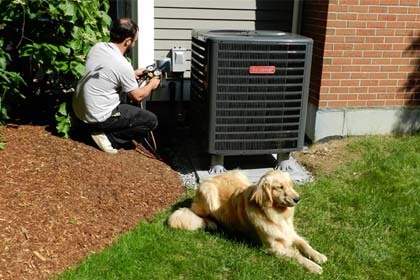 Air conditioning is comprised of five major components: condenser, compressor, coil, expansion valve and blower motor. These components all work together to transfer energy or heat away from a conditioned space. How does the heat transfer take place? Air Conditioners rely on refrigerant to absorb the heat from within your home and then they release it outside. Your indoor coil which rests above your furnace or air handler is the source of your homes newly conditioned air while the outside condenser is responsible for depositing excess heat. For an air conditioning system to work properly it must be adequately sized to your home. A/C sizing is measured in tonnage and in the search for efficiency it is important to make sure you have neither too much or too little. 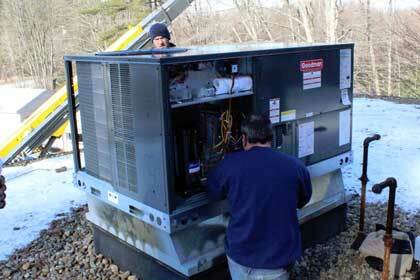 LeBlanc Heating sells and installs the latest York air conditioning and heat pump systems. York air conditioning and heat pump systems range in SEER ratings from 13 SEER to 18 SEER. 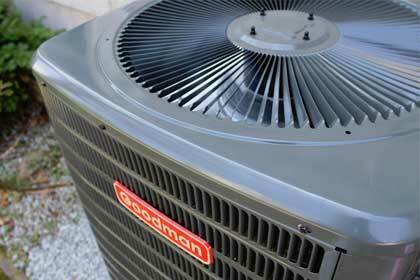 LeBlanc Heating sells and installs the latest Goodman air conditioners and heat pump systems. Goodman air conditioners and heat pump systems range in SEER ratings from 13 SEER to 18 SEER.